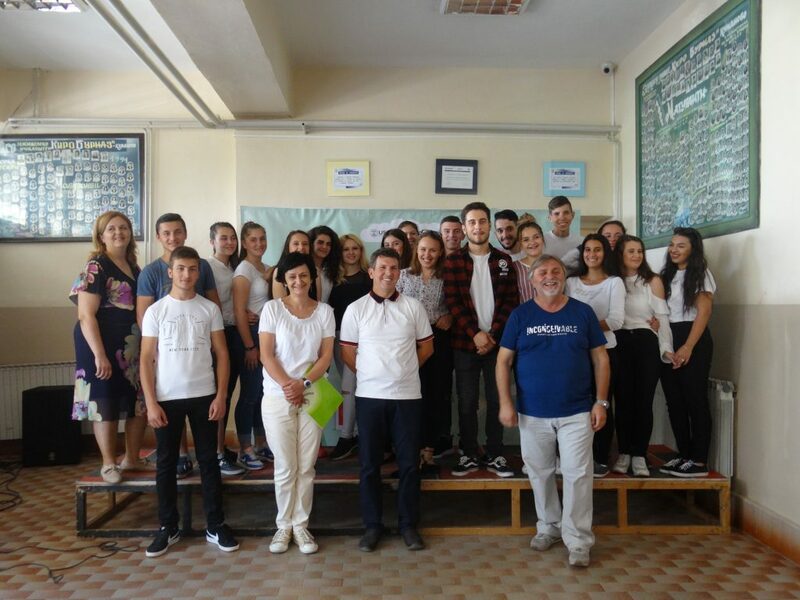 At the end of May and the beginning of June 2018, four final events were organized resulting from the creative processes that have been taking place for several months in a number of secondary schools throughout Macedonia within the USAID Youth Ethnic Integration Project. The purpose of the creative processes involving the young people is to offer creative tools and innovative approaches that will contribute to strengthening their participation in the interethnic dialogue in both the school and the wider community and to raising their civic awareness and democratic behavior. 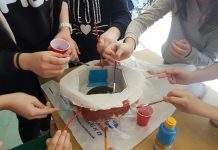 The entire process started in January 2018, with a three-day training for the implementation of creative workshops attended by two teachers from each of the following 8 secondary schools: “Zef Lush Marku” in Skopje, “Gorgi Naumov” in Bitola, “Rilindja” in the village of Zitose, Dolneni, “Nikola Karev” in Strumica, “Kiro Burnaz” in Kumanovo, “Kiril Pejcinovik” in Tetovo, “Gostivar” in Gostivar and “Niko Nestor” in Struga. In order to further expand the skills of the teachers to work creatively with the young people, a forum theater training was organized last February. Immediately after the trainings, the teachers started with the practical application of their acquired knowledge and skills. Once a week, they organized creative workshops in their schools, which were attended by about 25 students from each school. By combining individual and team work, the young participants in the workshops were able to create and creatively express themselves, thereby building their self-confidence and developing their communication and cooperation skills. Employing a series of innovative techniques, the young people have also deepened their knowledge and understanding of the stereotypes, prejudices and discrimination in the society. The experiences and the benefits of such long-term activities have also been promoted in the local communities, in order to serve as a positive model and an immediate impetus for a long-term and sustainable practice of the creative processes. With the support from their teachers and under the mentorship of experienced actors, the young people organized final events. In the “Rilindja” secondary schools in the village of Zitose, Dolneni, the group of students participating in the creative workshops performed a play. The play presenting the problem with underage marriages was seen by more than 100 guests, including the Mayor of the Municipality of Dolneni. The students from “Niko Nestor” in Struga translated their creativity into a musical and dance performance entitled “The Bridge of Friendship”, which they performed publically before the City Center Bridge in Struga. 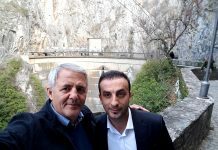 The event was attended by more than 100 students, teachers, parents, representatives of the local self-government and it also sparked the interest of the passers-by. 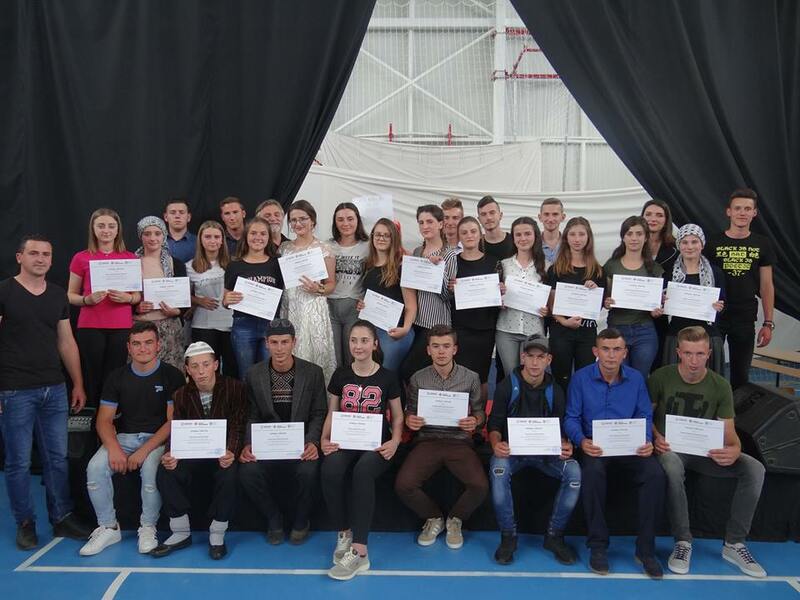 The students from the “Gorgi Naumov” secondary school in Bitola made a short film entitled “Bitola – Open for Everyone” and organized its promotion that was attended by more than 60 guests in the school. The short film depicts the ideas and initiatives of the youth to improve their community, and it also displays several cultural and historical landmarks of the city which places great importance on the different ethnic communities. The students from the “Kiro Burnaz” secondary school in Kumanovo presented their products in the school before their classmates, parents and teachers. The public presentation was a synthesis of three art forms and contained a musical segment – two choir performances, a dramatic segment – performance of seven theatrical scenes and an arts segment – exhibition of photographs, posters and drawings. The experiences of the young people participating in the workshops show that thanks to them they learned new things in an exceptionally positive atmosphere and made new friendships. In the coming period, the rest of the schools involved in the creative processes will also make their public presentations.